In my blog post dated 6 May 2017 on Korean banknotes, you may learn more about some famous Korean historical figures through their portraits on the banknotes. In fact, you also have the chance to do so when you’re walking around in South Korea – some of the roads are named after some great Korean historical figures. In this blog post, I will share some examples with you. 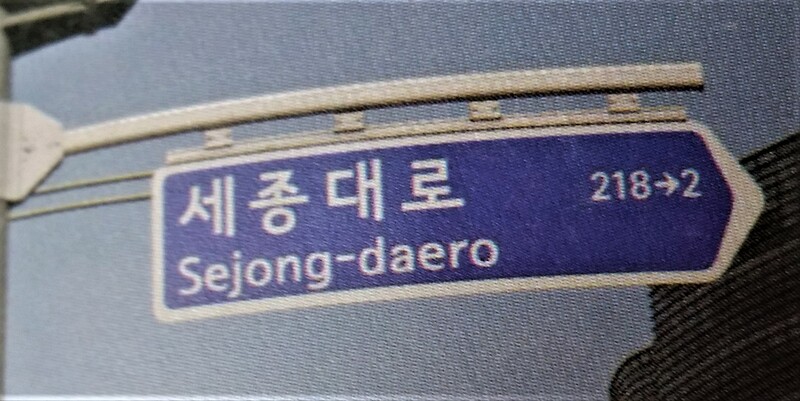 In Korean, “road” can be called “로” (“ro”) or “대로” (“daero” – literally means “big road”). Let’s look at some road names in Seoul and the relevant Korean historical figures below. This road is named after King Sejong of the Joseon Dynasty. King Sejong is well-respected in South Korea because of his great inventions. One of such inventions is the Korean alphabet, Hangeul. You may learn more about King Sejong by reading my blog post dated 16 January 2015. King Sejong’s portrait also appears on the 10,000 won Korean banknote. This road is named after the famous Korean admiral, Yi Sun-shin (이순신)(1545-1598) of the Joseon period. He successfully defended the country against the invasion of the Japanese forces with his fleet of turtle ships designed by him. 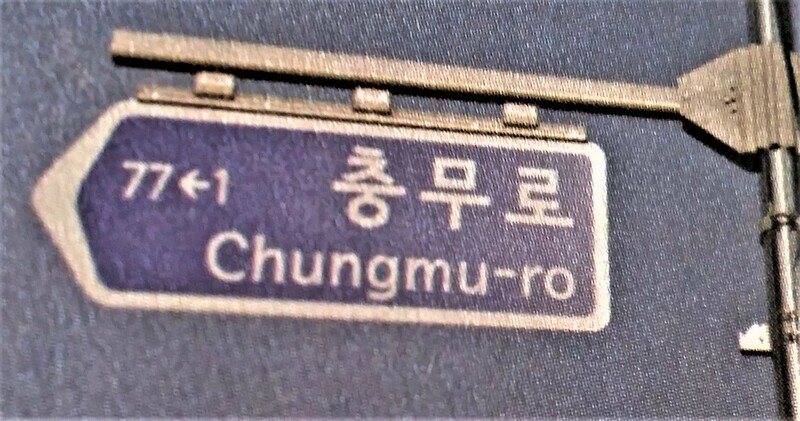 He was given the posthumous title, “Chungmugong” (충무공 – literally means “Martial Lord of Loyalty”). You may learn more about this great admiral by reading my blog post dated 1 December 2014. This road is named after Eulji Mundeok (을지문덕)(c.550-c.620), a great military general of the Goguryeo period. He successfully defended the country against the invasion of the Chinese Sui Dynasty. It is said that in the Battle of Salsu (살수대첩), he defeated the Sui army and only 2,700 of the 300,000 Chinese soldiers survived. This road is named after a prominent Confucian scholar of the Joseon period, Yi I (이이)(1536-1584). His pen name is Yulgok (율곡 – literally means “chestnut valley”). His portrait appears on the 5,000 won Korean banknote. For detail, you may refer to my blog post dated 6 May 2017 on Korean banknotes. This road is also named after a prominent Confucian scholar of the Joseon period, Yi Hwang (이황)(1501-1570). His pen name is Toegye (퇴계 – literally means “retreating creek”). His portrait also appears on the 1,000 won Korean banknote. You may refer to my blog post dated 6 May 2017 on Korean banknotes for detail. Next time when you go to South Korea, please try to look around and see if you can discover other road names which are related to Korean historical figures.